This Artwork brings back the fun of Bomberman! Thats super-sad I think since those games were awesome but today we have consoles which allow 4 or 5 controllers connected without needing something like a Multitap and with the online infrastructure of today, Bomberman games would be ideal online games as well. Oh well. 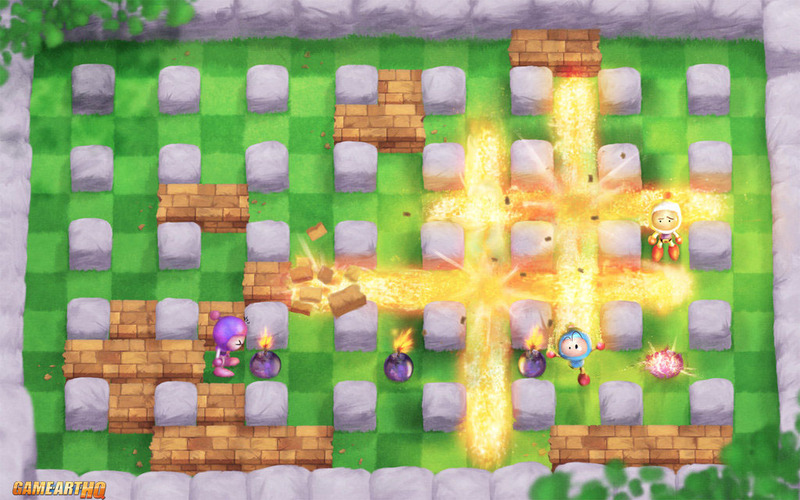 Enjoy this awesome hommage to Bomberman by Mikaël “Orioto” Aguirre today at least.